What Are Homebuyers’ Biggest Regrets? Half of all U.S. homeowners would do something differently if they could repeat the purchase process, with saving a larger down payment at the top of the list. In its inaugural Home Buyer Reality Report, NerdWallet found that 49 percent of homeowners would change some aspect of their buying experience. Sixty-one percent of Generation X owners said they would do something differently, compared with 57 percent of millennials and 44 percent of baby boomers. Among all generations, the biggest remorse surrounds down-payment savings, with 20 percent of respondents reporting that they should have socked away more money. More than one-quarter of Gen Xers and millennials would amass a larger down payment if they could buy a home again. Home size was another significant regret, with one-fifth of Generation X and millennials respondents saying they wish they had bought a larger home. By contrast, just 6 percent of baby boomers thought their home was too small, and that generation has a much lower percentage of buyer remorse across the board. The survey also highlights the need for more education surrounding the mortgage and lending process. 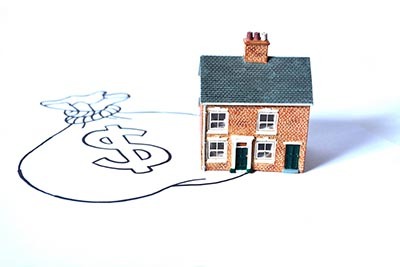 Forty-one percent of Americans who have applied for a loan said they weren’t fully aware of all their options, and 14 percent said they would do more mortgage comparison-shopping if they could repeat the process. Despite the need for greater borrower education, along with interest rates that are widely expected to rise in 2017, 89 percent of applicants regardless of age had been approved for a mortgage. Generation X had the highest approval rate, at 91 percent, with baby boomers and millennials (89 percent) not far behind. Learning from the experiences of successful homebuyers and the things that they would do differently can help hopeful homeowners from repeating their mistakes. And of course, the advice and knowledge that only a trusted, experienced real estate professional can provide are crucial elements to any satisfying transaction.